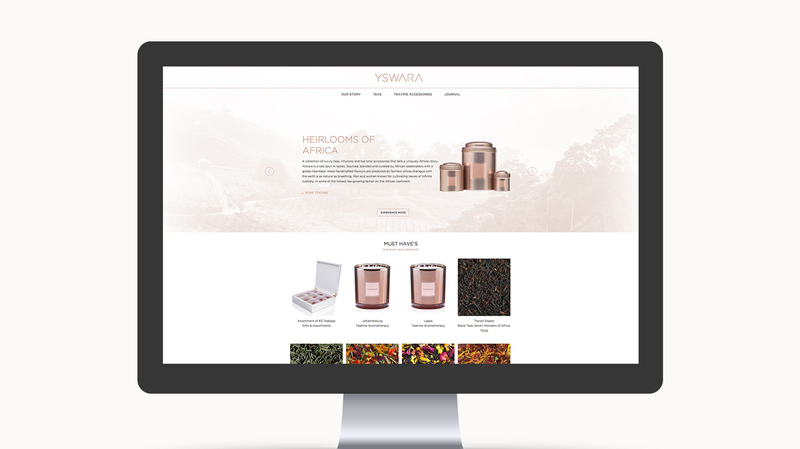 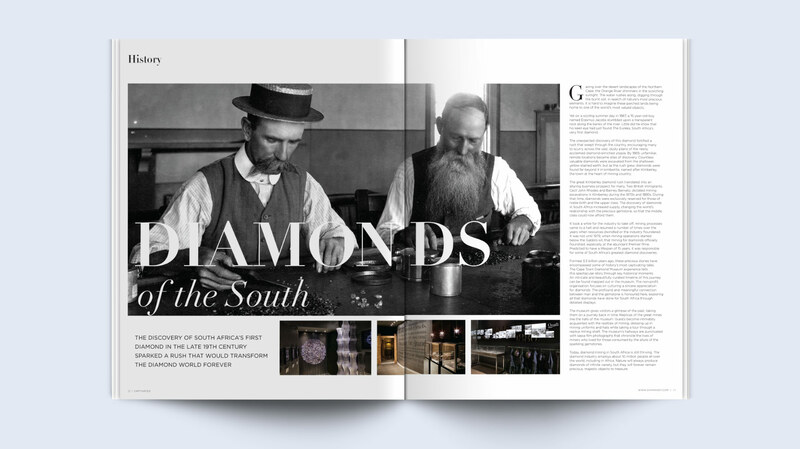 Shimansky is one of South Africa’s most prestigious jewellery companies. 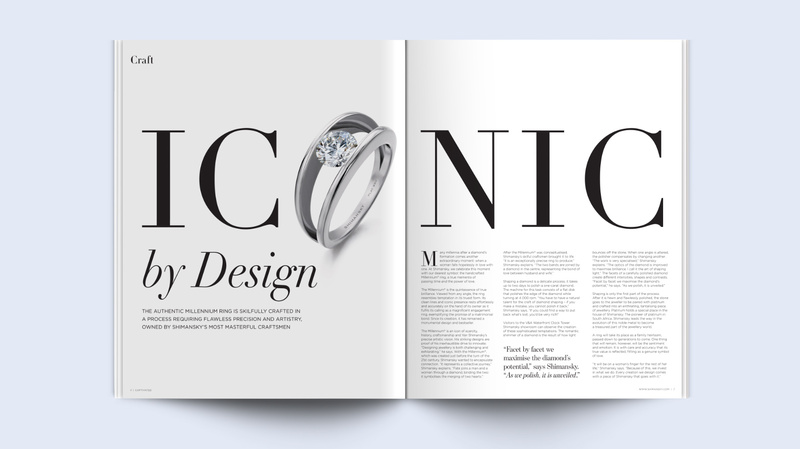 A true jeweller, Yair Shimansky sources and designs his own diamond jewellery, creating an iconic South African brand. 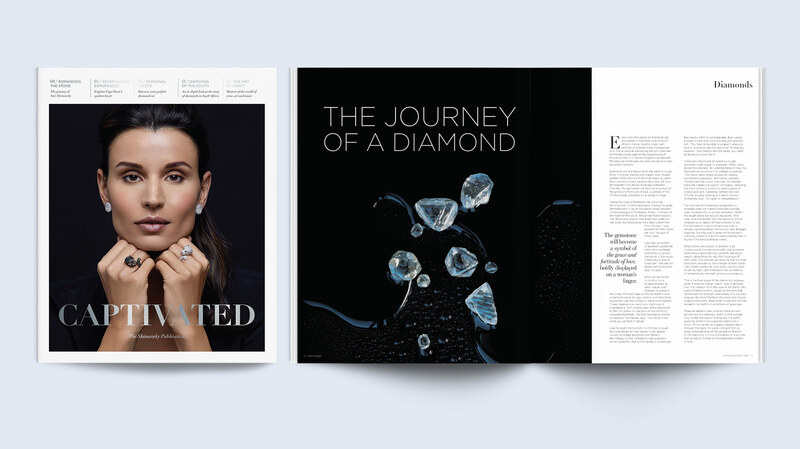 Renowned diamond and jewellery pioneer Shimansky commissioned Pure Creative to create a bespoke publication. 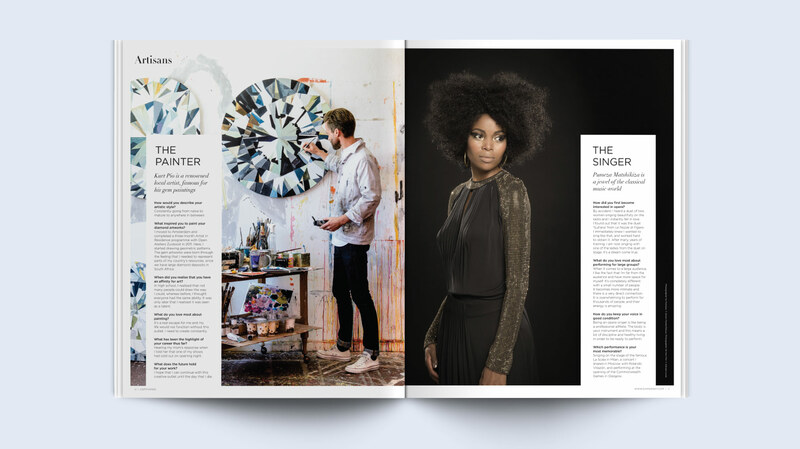 Captivated offers readers a quiet moment to appreciate – and celebrate – the finer things in life. 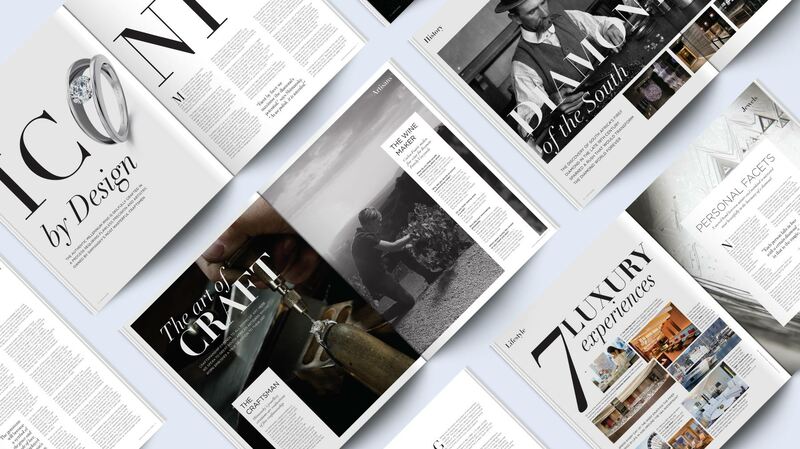 It explores history and craftsmanship in the diamond world, while also serving as a guide to the wider world of luxury in South Africa. 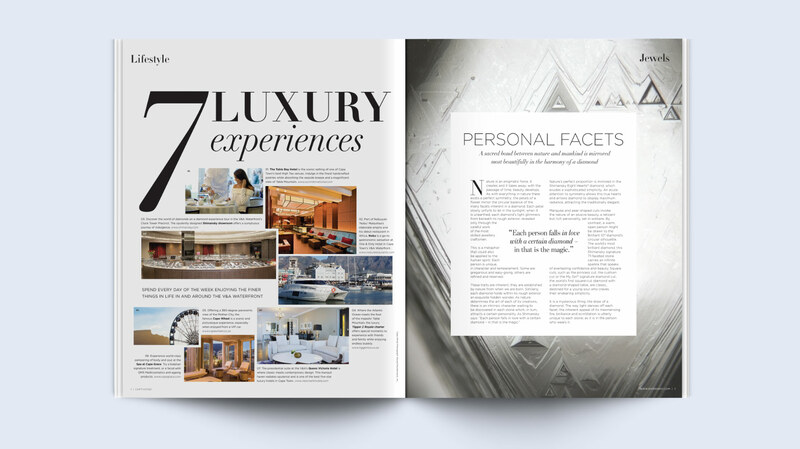 Laced with elegant editorial design and concise copy, the publication encapsulates the magic of life’s treasured moments.